Permissions. List of Contents. List of Contributors. The necessity of neural networks (J.W. Donahoe). Neural Development. Mammalian forebrain development: how cells find a permanent home and establish their identity (M.B. Luskin). Development and plasticity of neocortical processing architectures (W. Singer). A statistical framework for presenting developmental neuroanatomy (S. L Senft). Evolving aritifial neural networks in Pavlovian environments (J.E. Burgos). Neural Plasticity. Principles of neurotransmission and implications for network modeling (J.S. Meyer). Cellular mechanisms of long-term potentiation: late maintenance (U. Frey). Temporal information processing: a computational role for paired-pulse facilitation and slow inhibition (D.V. Buonomano, M.M. Merzenich). Perceiving. Inferotemporal cortex and object recognition (K. Tanaka). Sparse coding of faces in a neuronal model: interpreting cell population response in object recognition (A. Trehub). Structure and binding in object perception (J.E. Hummel). A neural-network approach to adaptive similarity and stimulus representations in cortico-hippocampal function (M.A. Gluck, C.E. Myers). Behaving. Motor cortex: neural and computational studies (A.P. Georgopoulos). Selectionist constraints on neural networks (D.C. Palmer). Analysis of reaching for stationary and moving objects in the human infant (N.E. Berthier). Reinforcement learning or complex behavior through shaping (V. Gullapalli). Reinforcement Learning. Adaptive dopaminergic nuerons report the appetitive value of environmental stimuli (W. Schultz). Selection networks (J.W. Donahoe). Reinforcement learning in articial intelligence (A.G. Barto, R.S. Sutton). The T-D model of classical conditioning: reponse topography and brain implementation (J.W. Moore, J-S Choi). Biological substrates of predictive mechanisms in learning and action choice (P. Read Montague). The role of training in reinforcement learning (J.A. Clouse). Complex Behavior. Functional brain imaging and verbal behavior (M.E. Raichle). Neural modelling of learning in verbal response tasks (V. Gullapalli, J.J. Gelfand). Serial order: a parallel distributed processing approach (M.I. Jordan). Connectionist models of arbitrarily applicable relational responding: a possible role for the hippocampal system (D. Barnes, P.J. Hampson). A recurrent-network account of reading, spelling, and dyslexia (G.C. Van Orden et al.). References. Index. 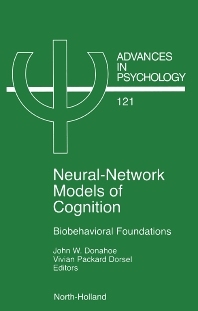 This internationally authored volume presents major findings, concepts, and methods of behavioral neuroscience coordinated with their simulation via neural networks. A central theme is that biobehaviorally constrained simulations provide a rigorous means to explore the implications of relatively simple processes for the understanding of cognition (complex behavior). Neural networks are held to serve the same function for behavioral neuroscience as population genetics for evolutionary science. The volume is divided into six sections, each of which includes both experimental and simulation research: (1) neurodevelopment and genetic algorithms, (2) synaptic plasticity (LTP), (3) sensory/hippocampal systems, (4) motor systems, (5) plasticity in large neural systems (reinforcement learning), and (6) neural imaging and language. The volume also includes an integrated reference section and a comprehensive index.